ST. PAUL, Minn. (AP) — Minnesota regulators approved the final environmental review Thursday for Enbridge Energy’s proposal to replace its aging Line 3 crude oil pipeline in northern Minnesota, setting the stage for a final decision on the disputed project in June. The Public Utilities Commission voted unanimously to declare the review “adequate,” meaning it met the legal requirements, after ordering rewrites in December in four narrow areas dealing mostly with proposed route alternatives. Crude oil pipelines have become an increasingly contentious national issue amid concerns about tar sands oil and climate change, the threat to water supplies, and the rights of American Indians. The fight over the Dakota Access pipeline drew thousands of protesters to the Standing Rock Reservation in North Dakota, stalling work on that project for months. Built in the 1960s, Line 3 carries crude oil from Alberta through North Dakota and Minnesota to Enbridge’s terminal in Superior, Wisconsin. 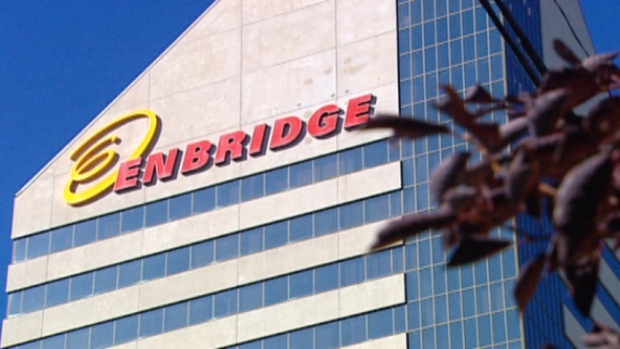 Calgary-based Enbridge says the replacement, made of stronger steel, would restore its original capacity of 760,000 barrels per day and ensure reliable deliveries of crude to Midwest refineries. Enbridge wants to replace the 282-mile stretch in Minnesota with a new 337-mile pipeline on a partially different route that would take it through the pristine Mississippi River headwaters region. Ojibwe groups oppose it because of the potential for spills in lakes where they gather wild rice. Outside the meeting room, Theresa Diver, of Cloquet, and Lisa Morgan Ronnquist, of Duluth, served wild rice egg bake, wild blueberries and fry bread to people attending. The Ojibwe women said they wanted to highlight the danger they see to their traditional food sources. Much of Thursday’s debate centered on a “traditional cultural properties survey” to identify significant locations along the route including Native American burial grounds and sacred sites. The PUC decided earlier the study must be completed before construction begins. The opponents failed to persuade the commission to wait for those results before approving the environmental review. The Jobs for Minnesotans coalition of business, labor and community leaders rallied before the meeting, saying the replacement will better protect the environment, ensure the region’s energy supply and create 8,600 well-paying jobs with a total economic impact on the state of $2 billion. Lawmakers present included Republican Minnesota House Speaker Kurt Daudt, who said Enbridge has gone to “great lengths” to meet the state’s regulatory requirements. The next major step will be when an administrative law judge releases her report on whether the project is needed. That’s due April 23. The PUC will consider her recommendations when it decides in June whether to grant a certificate of need for the project and approve the route. PUC Chair Nancy Lange acknowledged that whatever the commission decides, the dispute is likely to end up in court.